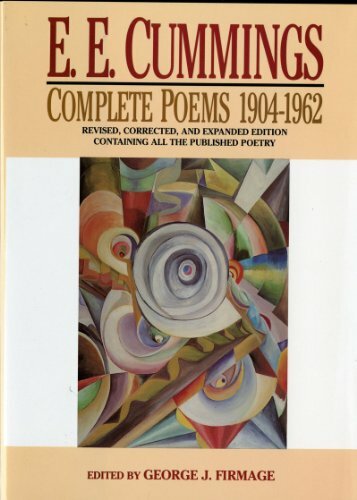 E. E. Cummings (1894-1962) was born and brought up in Cambridge Massachusetts, and is remembered above all for his startling innovations in syntax and typography. His early experiments in poetry whilst still a child were encouraged by liberal parents to whom Cummings remained close, particularly his father, a professor of sociology and political science at Harvard, and a Unitarian minister whose religious beliefs influenced the transcendental strand in Cummings' work. He graduated from Harvard in 1916, his commencement address entitled 'New Art' suggesting the modernist/imagist direction in which his poetry would flow. He then volunteered for the ambulance service in the First World War, but once in France was arrested, erroneously, on suspicion of espionage and spent three and a half months in a detention camp. Despite this negative early experience of the continent, the avant garde cultural life of Paris later became of lasting importance to him. 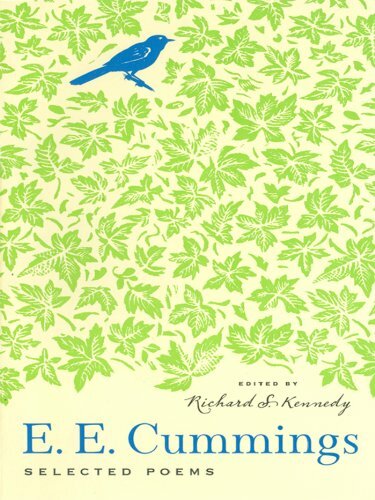 Cummings' debut collection, Tulips and Chimneys, appeared in 1923 and presented for the first time his eccentric use of grammar and punctuation, an approach, influenced by Gertrude Stein, that gave his poetry a radical freshness. His own experience as a painter, as well as a writer, meant that for Cummings the appearance of the poem on the page contributes significantly to its mood and meaning. Typical stylistic devices in his work include: running words together; scattering punctuation symbols cross the page; subverting the syntactical conventions of the English sentence; intentional misspellings and phonetic spellings and the invention of compound words such as "puddle-wonderful". However, this obvious experimentation is often combined with strict formal structures and traditional subject matter that reveals a strong bias towards romanticism. There is also a satirical vein in his work which mocks the mores of popular American life, particularly society's belief in scientific rationalism. In 1926 Cummings became a freelance writer for Vanity Fair and established his customary work pattern, painting in the afternoons and writing at night. His personal life was less ordered, his first two marriages ending in divorce and enforced estrangement from his only child, Nancy. In 1926 he also suffered the loss of his beloved father in a car accident that left his mother badly injured. However, he found happiness in his third marriage to the photographer, Marion Morehouse. 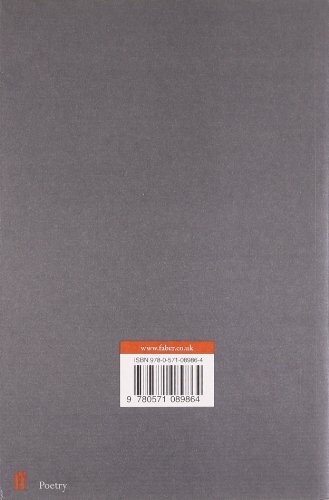 Later collections extended his typographical and grammatical experiments further though they have been criticised for a lack of development in terms of tone and subject matter. Cummings died from a brain haemorrhage in 1962. Cummings was honoured with many literary awards in his life though critical opinion was divided and remains so over his legacy: some dismiss his work as sentimental and politically naïve, whilst others value him for his anarchist and mystical beliefs. What is indisputable is his status as one of the most widely read and popular American poets. His Archive recordings present Cummings in the intimacy of his Greenwich Village home. In his introduction, the producer of the programme provides an atmospheric snapshot of the poet's environment: "His studio's in Patchen place, a remarkably English little hideaway on the edge of Greenwich Village. Like so many other corners of the village it might be almost anywhere in Chelsea - discreet, sedate and withdrawn...the quiet of Patchen Place is almost cloistral..." He also draws attention to the "eminent speakability" of Cummings' poems and the precise, rather "un-American" diction in which he delivers them. The poems themselves are fine examples of the satiric and romantic aspects of his work. 'Anyone lived in a pretty how town' is a moving and formally beautiful meditation on the stifling expectations of popular society versus the individual's need for authenticity and love. The relationship of "anyone" and "noone" is set against the "women and men" of the town whose lives are defined by negatives ("they sowed their isn't they reaped their same"). The deliberately simple language and use of refrain gives the poem a fable-like quality and succeeds in being both sophisticated and childlike, a classic Cummings paradox. 'next to of course god America i' is a virtuoso example of monologue written in a sonnet form. Cummings' bravura performance brings out the clichéd nature of the old patriot's ramblings: by running together a series of sound-bites Cummings skewers brilliantly the essential meaninglessness of the speaker's political and cultural assumptions. When E.E. Cummings repunctuated Stalinism. E.E. Cummings recordings, Woodberry Poetry Room, Harvard.